The following is a press release from Harrah's Joliet, received by Chicago Poker Club on Monday, May 2, 2011. Go “All In” for the New LIVE Poker Room at Harrah’s Joliet! Throw your chips in the pot and go “all in” for the new poker room at Harrah’s Joliet Casino & Hotel. Opening May 2nd at 10am, the poker room will offer Limit & No Limit Texas Hold ‘Em, Omaha, and Seven Card Stud. And starting May 2nd, (through May 17th), you can play to earn entries** to win the chance to compete against poker legend Doyle Brunson and 8 other finalists. If you win, you’re going to Vegas, Baby! Plus, you’ll get $1,500 for travel expenses and a seat at the World Series of Poker Main Event**, a total value of $10,000! Ask a group of aspiring poker players or even some of the more established pros about their poker related goals and most of them will say they would love to win a World Series of Poker bracelet at some point in their career. The WSOP bracelet is seen as the most coveted non-monetary prize that poker has to offer and this year there are no fewer than 65 tournaments being run that will award bracelets. Although the WSOP has been running since 1970, the first bracelet awarded was not until 1976. Until then players received a variety of trophies, including a silver cup and a sterling plate but Benny Binion, the founder of the World Series of Poker, wanted players to have something they could keep and cherish and the tradition of the WSOP bracelet was born. In the opening paragraph I said how the WSOP bracelet is the most coveted non-monetary prize in poker but that is not essentially true as it does have a significant monetary value. The 1976 edition of the bracelet was only worth around $500 but over time they have become more and more extravagant and made by master craftsmen. The bracelets awarded to Peter Eastgate, the 2008 World Series of Poker Main Event Champion, was made from 168 grams of 18kt white gold and was encrusted with 291 individual diamonds with a collective weight of 2.81 carets! Eastgate had the bracelet valued at $16,000 before he auctioned it off for charity, an auction that raised $100,000 for UNICEF. 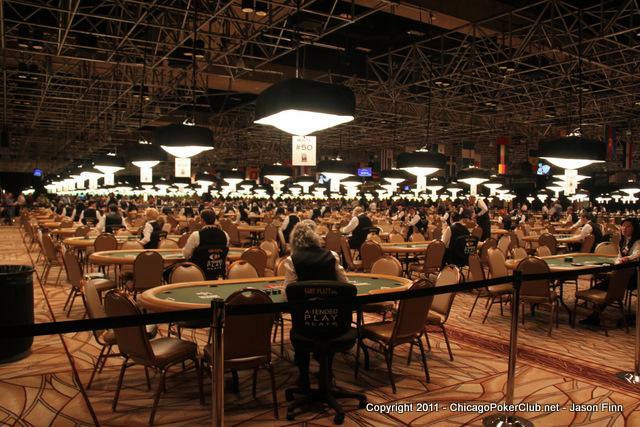 The 42nd annual World Series of Poker begins on May 31 and sees 58 bracelet events take place. For your chance to get your hands, or should that be wrists, on one of the most sought-after pieces of jewellery in poker then you should really try Paypal Poker out for size. If you do not manage to qualify for the WSOP there is always the WSOPE a few months later where a further seven bracelets will be available to the lucky winners. In case you haven't been exploring Chicago Poker Club of late, we have a great deal going on. We've added a new tab for all non-WCPC Fallah Productions shows, and are kicking off our new section with Episode 1 of the 2nd Annual Chad Brown Texas Hold 'Em Championship, which was recently filmed in Jacksonville, Florida. ChicagoJason worked as a producer on the show, while our friends at Ante Up Magazine, Chris Cosenza and Scott Long host. We have a brief recap, and a link to some of the best features on the Department of Justice takedown of the three biggest online poker sites. 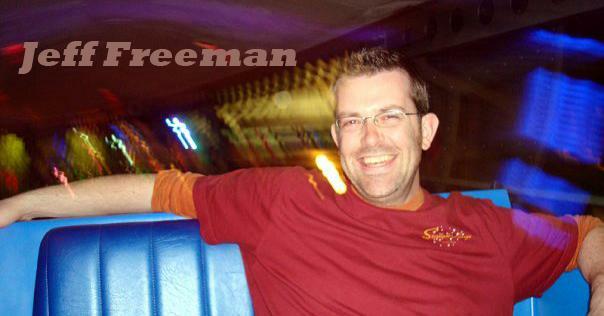 And finally, Jeff Freeman brings us the latest installment in his Primer Series. I've been struggling with a label for you. I settled on "Laundry." That is to say: "Laundry doesn't fold itself." If I sound a little bitter in these next few installments, it's because I've lost a few hefty loads of chips to Laundry players in my casual poker playing career. One point needs to be made clear: Laundry is not a Call Station. Laundry continues to call bets even if the hole cards they're holding are dead in the water. Call Stations at least have the common sense to fold a hand that isn't getting them anywhere. Laundry players develop in a number of different ways. The simplest, of course, is the Laundry that just doesn't know that much about the game of poker. Some beginner players, however, turn into Laundry by fixating on a few unimportant developments in the game. hole cards. Someone else throws out a bet you're not comfortable with. You fold your hand. You sit back, joke with a friend, and pick up your beer.
. Two pair! The knife of what-could-have-been stabs at your gut.
! Damn it -- a full house! The knife turns, and the cold beer you just swallowed suddenly has a sickly warm feel to it. The only scenario you play out in your head is what may have transpired had you called a potentially lethal bet from a player somewhere higher up on the rail: "I should've stayed in! I would've had that gigantic pot, and I'd be chip leader. I probably would've even ended up winning the tournament!" In other words, your fixation on your garbage folded cards blinds you to the action that developed at the table and caused you to fold in the first place. What you're failing to realize is the disaster that could've befallen you. Dedicating a portion of your chips to a set of hole cards that are better off balancing out a rickety restaurant table is a slippery slope. You really, really want a hand to develop, but other players are forcing you to contribute more chips to the pot for the minuscule chance that your hope is actually realized. So, you end up playing crap cards for a slim chance of striking it rich. You remain completely oblivious to the bets coming your way. You remain entirely ignorant to hands other players may be betting on. You fail to draw even the simplest correlations between the big bets and a developing table. All you want is a 6 to at least pair your hand on the river (while ignoring the size of the bets and the flush draw already on the table)! As developing your playing style goes, it's very dangerous to ignore what you did right in order to fixate on what could have been. You may pull down a monster pot or two (and it will likely be at my expense), but the reality is that you're eventually going to make a very charitable contribution to your opponents' stacks.
? There was a very slim chance your hole cards were going to develop into the monster that eventually played out. The correct decision shouldn't be second-guessed when you're faced with another two unimportant hole cards. Don't dig yourself into a hole. You don't have to know poker odds to understand the sinking feeling in your gut every time you make a call means you should've folded a long time ago!